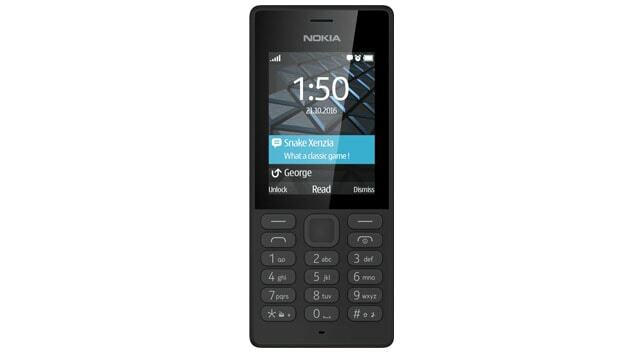 Nokia 150 was launched in January 2017.The feature phone is low range price.The cell phone comes with two color options Black and White. Its connectivity options consist of FM, Bluetooth,GSM, and USB. you can expand it up to 32GB via a micro SD card. The phone is powered by a large Lithium-ion 1020 mAh removable battery that measures 118 height * 50.2 widths * 13.9 thickness plus weighs 81 grams. It also includes a dual SIM to mini sim support.